Inspired by the time Josh's Dad took his nine year old son up a French mountain in flip-flops, we decided to create something that would put the minds of new parents at ease. 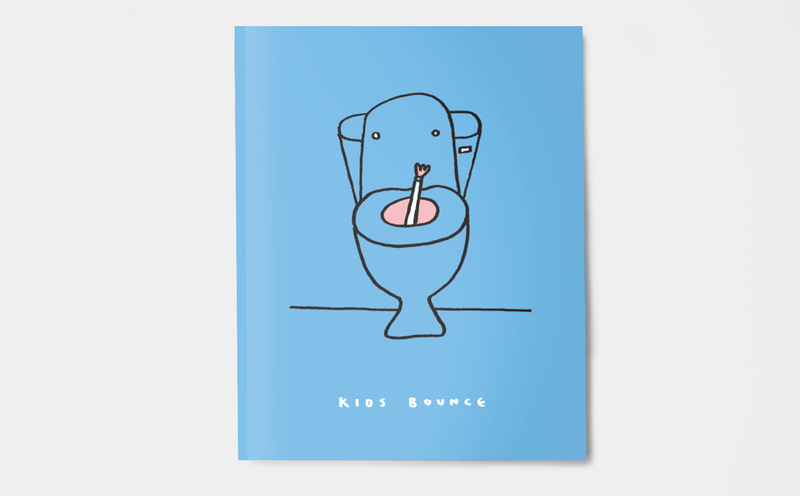 And so, 17 stories of traumatic (but totally non-fatal) events later, Kids Bounce was born. When I was really little I used to stop eating when I had a loose tooth because I didn’t want it to fall out. It became such an issue my mum tried to invent ways to get the tooth out. One of these involved waiting until I was asleep, creeping up to the side of the bed and trying to punch it out of my mouth! My dad is a massive motorsports fan. As a child I remember every Sunday afternoon would see him sat in front of the telly, with only Murray Walker’s dulcet tones heard over the constant drone of engines. On one of those afternoons I walked into the lounge to find him stood up, peeing into a nearby pot plant, eyes still glued to the telly. By way of an explanation, I was told the race was REALLY exciting. I was also told not to tell Mum. In his defence, I should just say that this was during the genuinely exhilarating Mansell/Prost/Senna era of Formula One. And he was sober. When I was little my mum told me that when she was in hospital after giving birth to me, she had something in her eye. The doctor popped her eyeball out on her cheek, washed behind it and popped it back in. She never spoke of it again. Not even to tell me that this wasn’t how medical professionals remove objects from your eye. Fast-forward to when I’m 21. I’m in the office and someone has something in their eye. I recount the story and suggest they pay a visit to A&E. My colleagues fell about laughing and told me it wasn’t possible. In an attempt to prove that the story was indeed true, I called my mother. I referred to the story she had told me many years ago and asked her to confirm it for my idiot colleagues. I couldn’t hear her response through the cackling laughter. Stories from the VCCP Partnership. Layouts by Benj Smith/David Law at Someone.